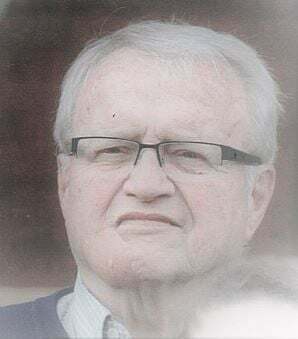 AITKIN, Minn. — Terry S. Palm, 75, of Aitkin, Minnesota, formerly of Montana, went to be with the Lord on Saturday, April 13, 2019. He was born Feb. 11, 1944, in Watertown, South Dakota, to Stanley M. and Wilma H. (Rowe) Palm. He graduated in 1963 from Billings West High School. He attended Montana State University in Bozeman, graduating with a degree in commercial art. Terry married Linda Irene (Pawlowski) on Nov. 27, 1965, in Circle. He worked in advertising for 12 years in Montana and Colorado. In 1979, he resigned as ad director for a national firm and moved to Buyck, Minnesota, to devote his time to painting. He enjoyed hunting, fishing, painting and being with his grandkids. He was a member of Deerwood Baptist Church. Terry is survived by his wife, Linda; five children; 17 grandchildren; and one brother, Richard (Gina) Palm of Billings. Funeral service will be 11 a.m., Thurs. April 18 at Deerwood Baptist Church in Deerwood, Minnesota. Visitation will be 5 to 7 p.m. Wed. at Sorensen-Root-Thompson Funeral Home in Aitkin, Minnesota, and will continue one hour prior to the service at the church.